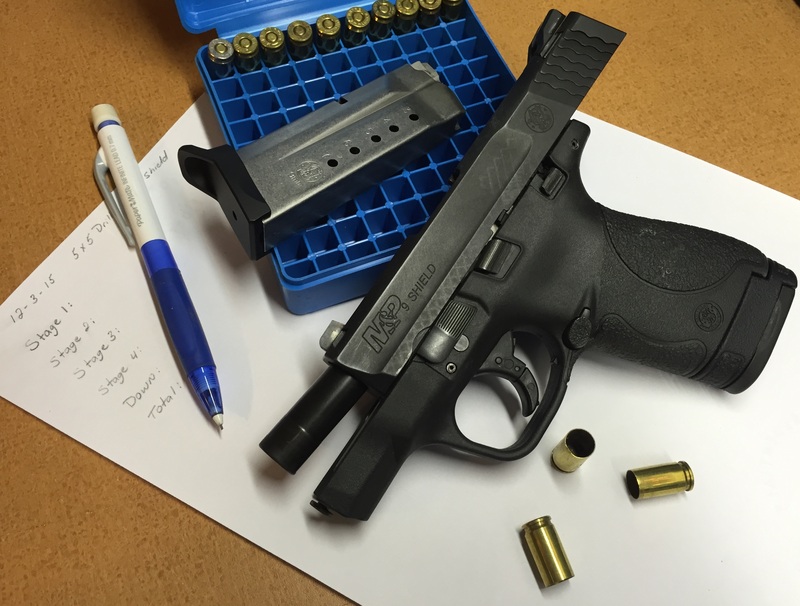 There is a common misconception about dry fire and what it can do for CCW holders; a misconception only compounded by gross misunderstandings of what dry fire is. It seems many CCW holders believe dry fire is nothing more than cocking their unloaded gun and firing it at a light switch or the TV. Dry fire can include that, but it is so much more! With the belief that all CCW holders should be ever increasing in skill level, I decided to write this as an example of how quickly tangible gains can be made. In my post “When Reality Hits Back”, I wrote about my concealed carry draw being ridiculously slow and my desire to improve it. That post was actually written on November 25th, the Wednesday before Thanksgiving. I started dry fire practicing draws using my concealed carry rig the following Saturday, and made it back to the range on Thursday, December 3rd. During that week I practiced roughly 15 minutes a day for five days. Folk’s that’s only an hour and fifteen minutes of practice over the course of a week; even with a family and full time job everyone can find that much time in a week. So what happened on my second attempt at the Wilson 5X5 Drill? A measurable improvement is what happened! I used the S&W Shield, configured the same as when I had ran it the week before. I ran it three times to get an average and when I was done I had dropped my time by about 2.2 seconds. I am still a long way away from where I want to be, but I didn’t expect perfection from only an hour and half of dry fire. As you digest this, keep in mind that I did not practice mag changes or trigger presses; I only practiced the draw stroke! In the 5X5 drill the gun is drawn from the holster four times, that means I improved my draw stroke roughly 0.5 seconds. If you were faced with an attacker, what would you give for a half second quicker draw? My suggestion, turn off Netflix for 20 minutes this week and practice some draws with your concealment rig. Who knows, you might learn something.